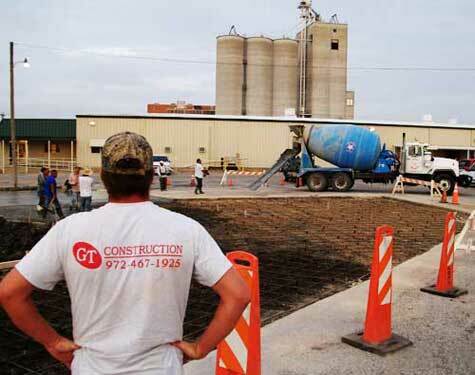 GT Construction, Inc. was founded by Gary Todd Watkins in December 1999 and has operated continuously since that time, serving the concrete construction needs of the Central, North & East Texas area. We have performed a variety of commercial and residential concrete projects, while specializing in turnkey construction. It is GT Construction’s mission to continue to provide unequalled client service through high rates of production, excellent workmanship and professional, dependable management through all phases of construction. GT Construction has expanded to include a new division by bringing in Mike Self to better meet its customer's interior construction needs. This expansion now gives GT Construction the equipment, experience, and skills to service any interior construction project. Our company has experienced professionals to serve any interior or exterior construction need while ensuring quality and service that exceed customer’s expectations! Contact us today to bid on your next project or request a reference from one of our many satisfied customers. We serve all surrounding areas in Central, North and East Texas.